Knowledge : Iro-muji - KIDORAKU Japan - What a Kimonoful World! 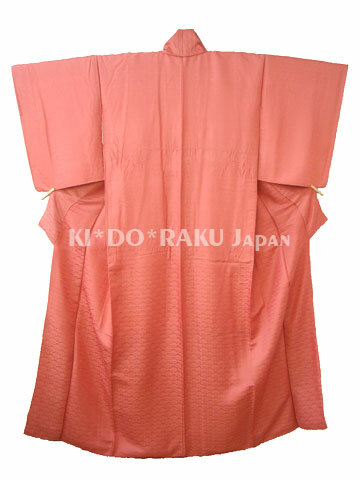 Iro-muji is a semi-formal kimono with no-design. It has no design or pattern, except base pattern of damask. "Muji" means "plain" or "solid", and "Iro" means "color". Black and plain kimono is distinguished from "Iro-muji". like tea ceremonies, meetings, eating outs, and so on. When you wear it with family crest, you can use it as a formal wear. Of course, you can use it as a daily wear without family crest. And if you put black obi on it together, you can use it as an easy mourning dress. Moreover, tea ceremony consider simplicity is important. And for joining in tea ceremony, Iro-muji is recommended.